Klout – a lot’s been made of it. Klout purports to measure your online influence, social reach, and even your relevance. Metrics? Number of followers, retweets, and mentions. Seems fairly reasonable. Reducing all of those down to influence though is obscure, and the value of the things measured is of questionable return. So if online influence is hard to work on, what about offline? Are there tools and tips for building your offline clout? You bet! Face to face is the original and dare I say best way to influence others. What you do and say is immediately visible to those nearby, less open to interpretation, and results show in an instant. Taking the best of both worlds gives us a great way to build offline clout using modern tools – a tweetup. Tweetups are informal gathering in the physical world of folks connected on Twitter. Tweetups are often held at restaurants. Breaking bread together is a great ice breaker and lends its self to chatter. Add in a few cold beverages and most folks become more relaxed. Fertile grounds for networking are right there. How can this build influence though? It’s all about how you behave in the group setting. What do you share? How do you involve yourself in conversations? How do you act towards wait staff, other attendees, and friends. People in attendance can witness who you are first hand. Tweetups around an activity work here as well. 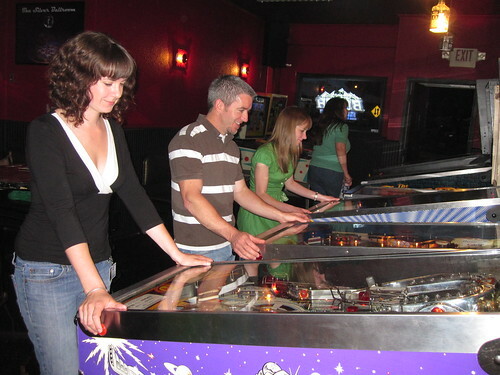 Gather a bunch of Twitter folks together at the local bowling alley, the park, or your city’s crazy museum. Hang out shooting guns if you dare. The key here is up close interaction. Seems obvious perhaps but repeated group activities is the easiest and fastest way to build relationships. Important as well is you don’t need anything special to host a gathering. The last two summers I hosted the Bring A Tweep To Lunch, #BATTL, summer series. Each Friday during the summer I selected a restaurant and shared it out. Open invitation was the rule, encouraging people to bring friends and family. These lunches weren’t sponsored, didn’t have speakers, and no one was excluded, even if they’d never heard of Twitter. My return on this? Besides good food and conversation I made new friends, cemented connections, and introduced people. Long term? Trust and influence. Local folks are already wondering where the lunches will be this year, who they’ll meet, what new food they’ll try, and if this will be there stepping stone to being more social. Wrapping up, I’ll give you a few quick tips. Go with a central location. Go where lunch can be under $10. Go with locally owned establishments when possible. Go with what you want to try. Don’t put it out for a vote. I’ve found this just leads to hurt feelings and rivalry. This post is part of #UsGuys Twitter group’s weekly blogging round up. Building offline influence was the topic for week 3.